Colorescience is one of those brands I’ve heard a lot about, partly because of their high quality efficacious ingredients and pure mineral formulas, and partly because of their luxe colour pigments and the fact they focus on simplicity. 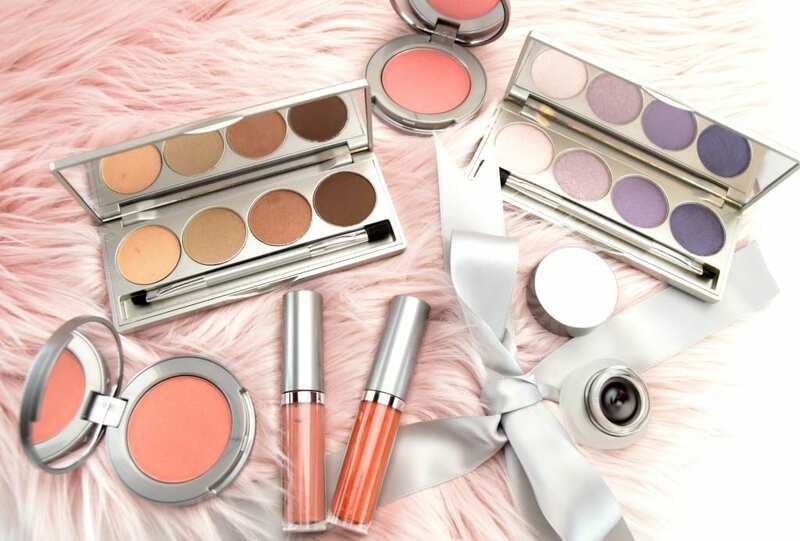 This premier mineral makeup line is anything but spectacular. Not only does it provide you with extreme colour, it’s actually good for the skin thanks to its peptides, antioxidant, vitamins, zinc oxide and titanium dioxide formula. Not only does it create a perfectly flawless finish, it actually helps protect it from the harmful and damaging effects of the sun with SPF. 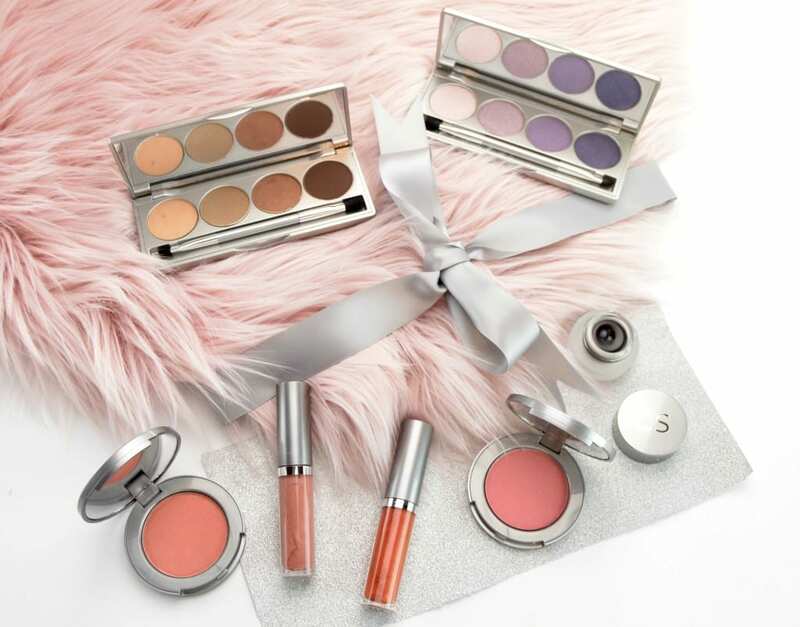 The brand offers a wide variety of products for both the face, eyes, lips and cheeks allowing you to achieve the perfect canvas for any occasion. 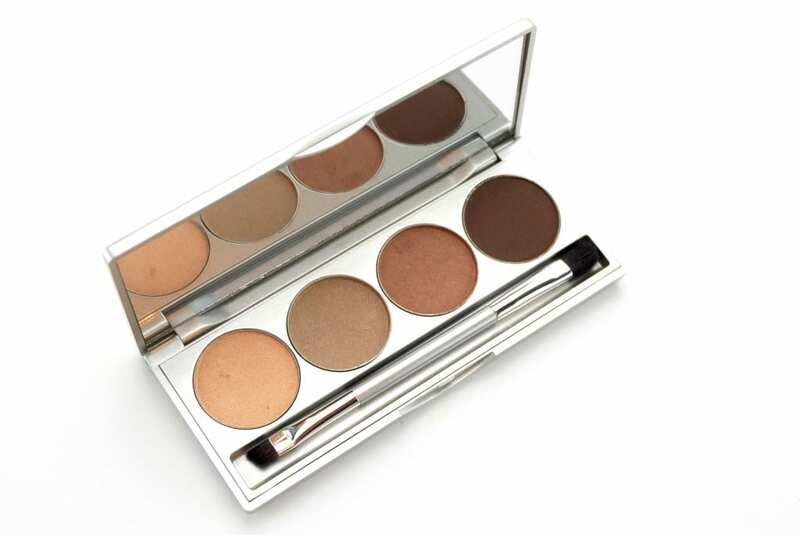 For the eyes, let me introduce you to the Colorescience Mineral Eye Shadow Palette designed to provide you with an extremely soft, smooth and silky texture that’s rich in colour and long-lasting. 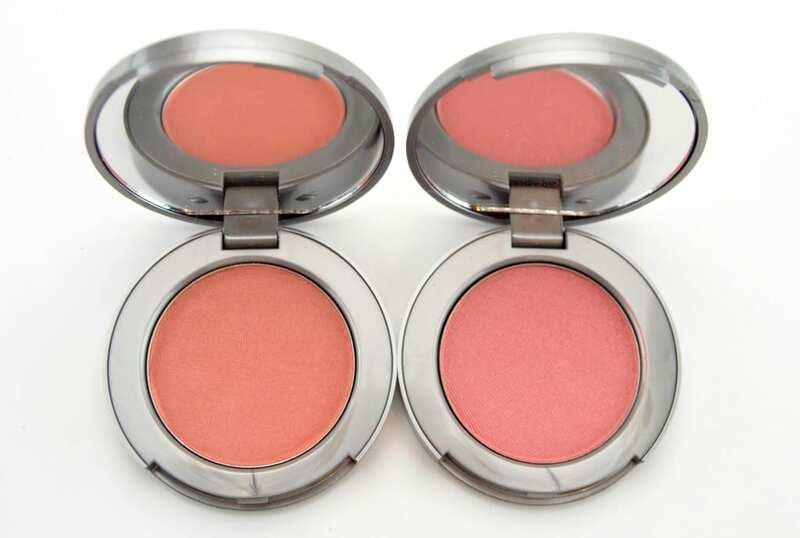 It combines 4 wearable and complementary shades that are great to wear alone or paired together. Its unique shade choices are also intended to complement all skin tones. 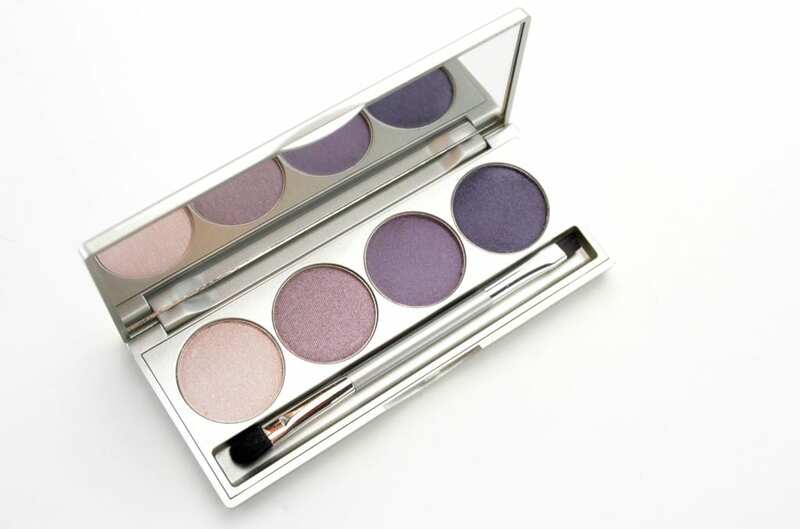 Colorescience Mineral Eye Shadow Palette comes packaged in a sleek, silver compact with full length mirror on the inside lid and dual-purpose brush for seamless application. 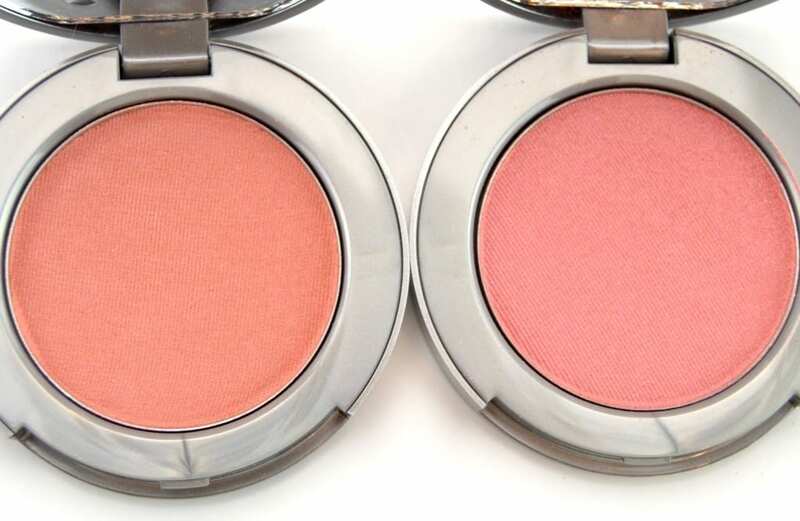 It features a slightly drier texture, yet applies beautifully to the lid with little fallout. Although it does have a soft and smooth consistency, its slightly powdery formula takes a little work to blend into the skin. Once you get pass the first layer of product, it seems to be more creamy and is easier to work with? If you can get pass the slightly drier texture, it does provide a completely flawless finish that lasts throughout the day. 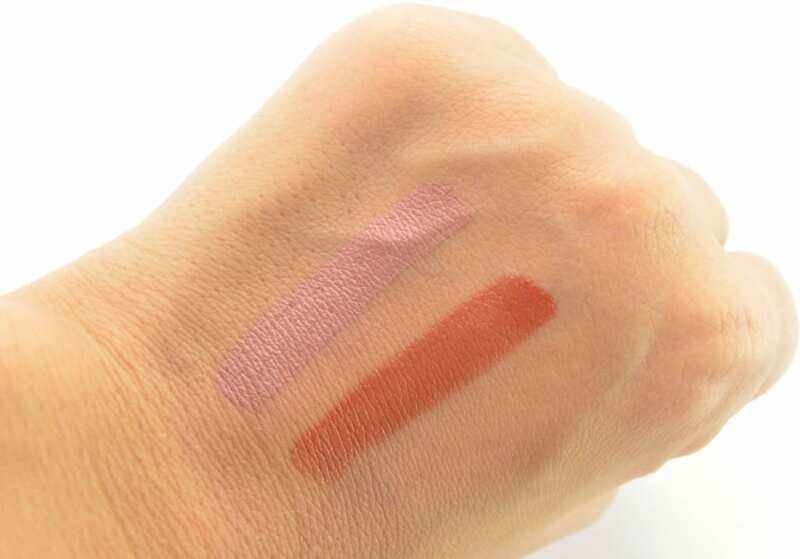 It has the perfect mixture of both warm and cool tones with matte and shimmer finishes. 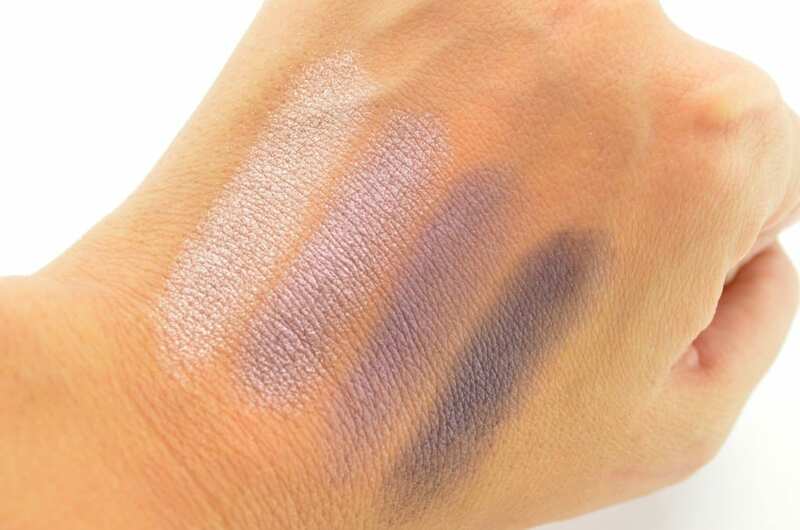 It’s highly pigmented and truly opaque in a single swipe or two. The colour payoff is bold and intense with little effort of the brush. When paired with a decent primer, it doesn’t smudge, crease or fade for a solid 9+ hours. 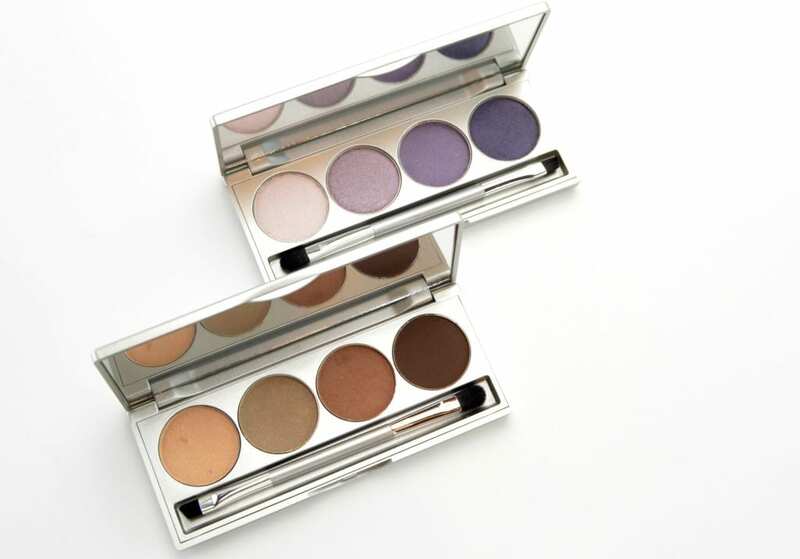 Come take the guess work out of what shades work well together and pick up one of the Colorescience Mineral Eye Shadow Palettes. It will help ensure a no-fuss, flawless finish in the matter of minutes. 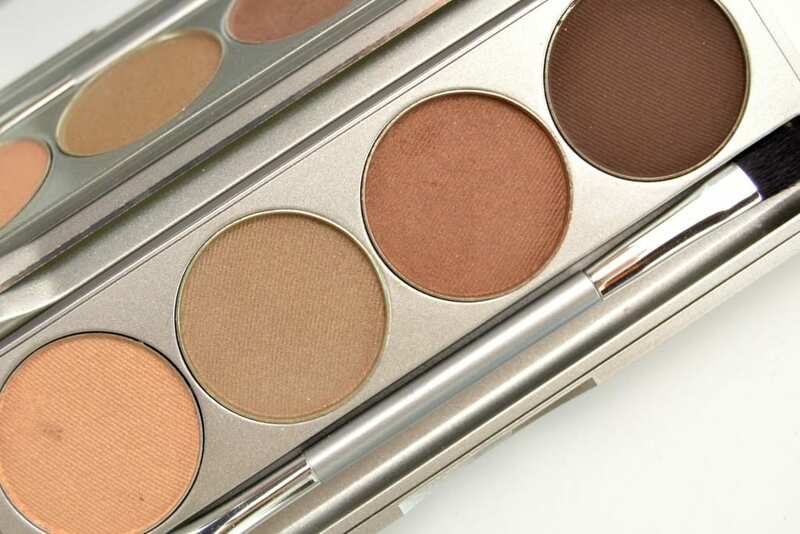 Each palette explores a different colour family, so whether you’re looking for a more natural look or wanting to have fun with colours, there is a quad for you. 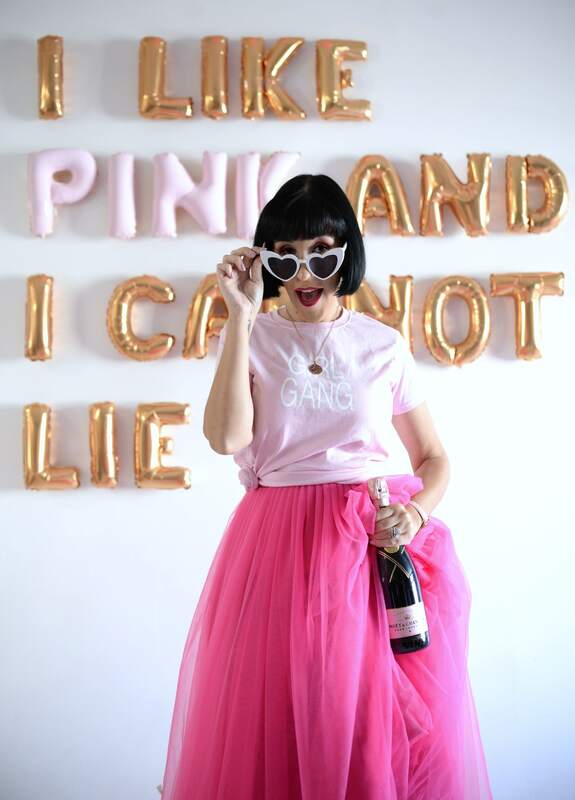 You’ll be able to achieve a simple and classic daytime look by applying a few of the lighter shades, but then add a darker shade to help add contrast for a more edgy evening look. This palette allows you to get as creative as you like, mixing and matching different finishes and shades to create your own unique look, without the fear of the shades not blending together perfectly. It comes in 4 shades and retails for $67.50. 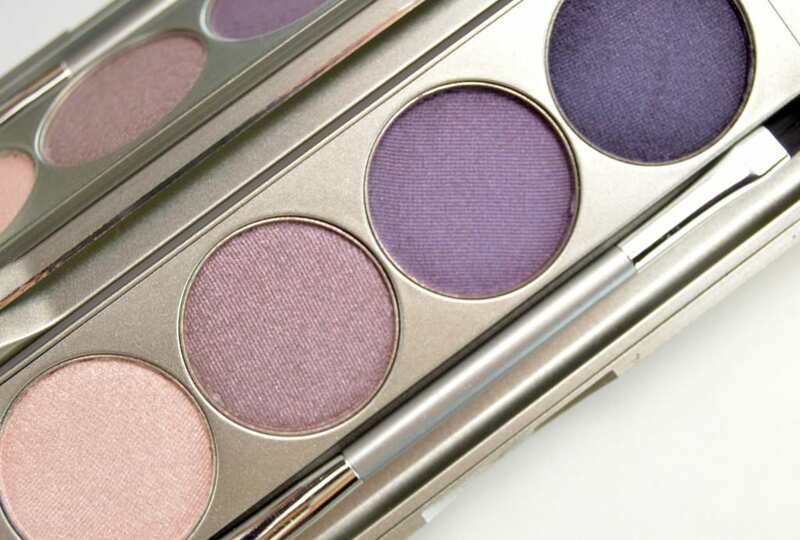 Colorescience Mineral Eye Shadow Palette in Royal Purple is the perfect quad for looking to have a little fun with colour. 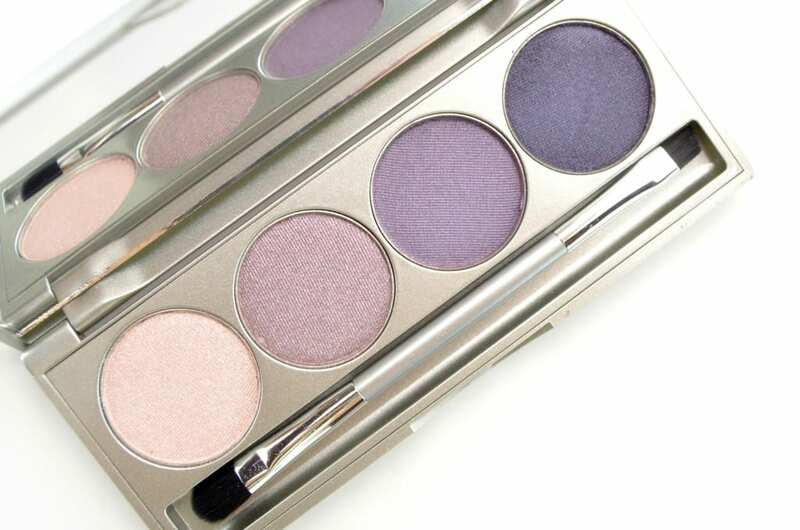 Colorescience Mineral Eye Shadow Palette in Timeless Neutrals is going to look amazing on all eye colours. 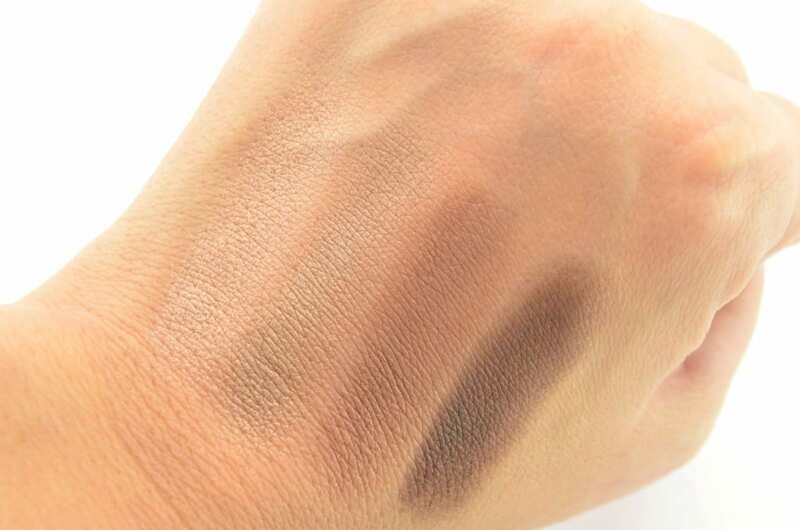 It will help to add instant glam to your look with both soft and sultry nudes. Colorescience Gel Eyeliner will allow you to put the finishing touches on any eye look thanks to its extremely long-wearing, intensely pigmented formula. It sets and dries within seconds for all day hold without smudging or fading. It’s rich, almost crème to gel formula glides on smoothly and effortlessly for a bold and powerful line in a single stroke of the brush. It comes in Black and retails for $37. Colorescience has a wide range of face enhancements designed to be layered and blended for a natural, highlight, contour and cheek colour. 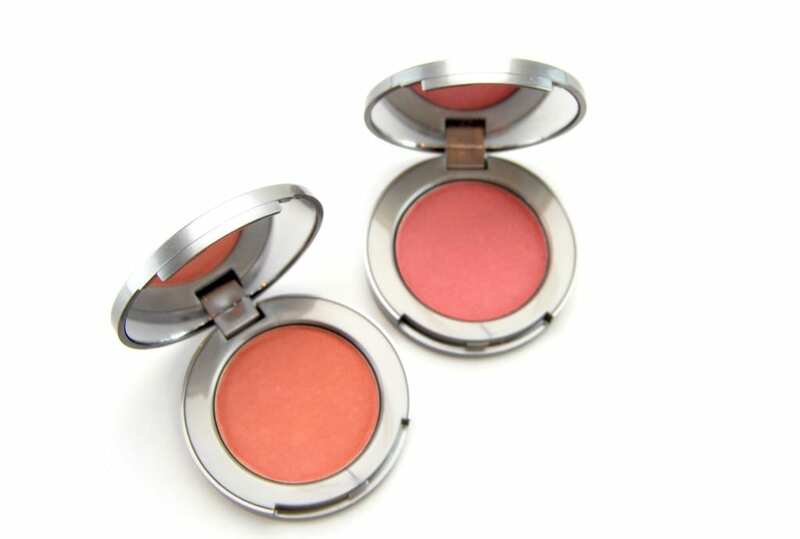 The Colorescienc Pressed Mineral Cheek Colores in particular are created to add a hint of natural colour and luminosity to the apples of your cheeks. It’s enriched with pearl powder that help provide the skin with a smooth and radiant finish, iron oxides to help provide pigmented and vivid colour, along with mica to help add a soft-focus effect. 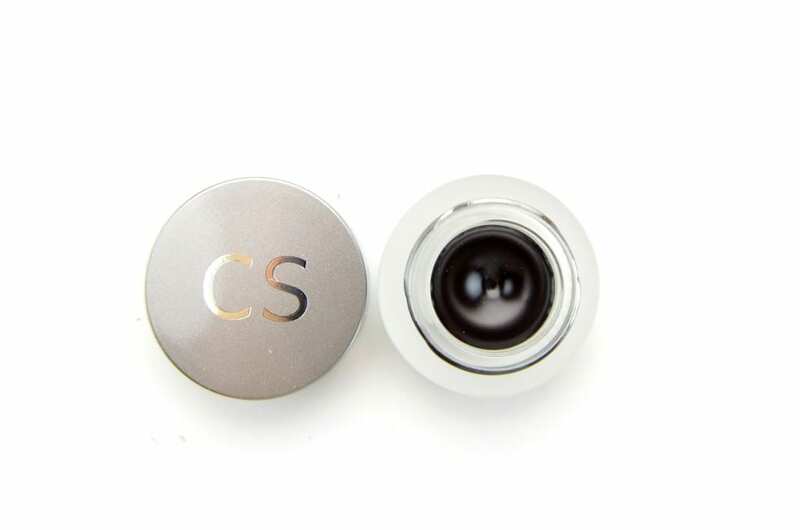 Colorescience Pressed Mineral Cheek Colore comes in a round silver compact with an incredibly weightless, finely milled, silky soft and smooth texture that helps to provide a natural pop of colour to the cheeks. It has a rich and smooth, almost velvety formula that glides across the skin with ease. 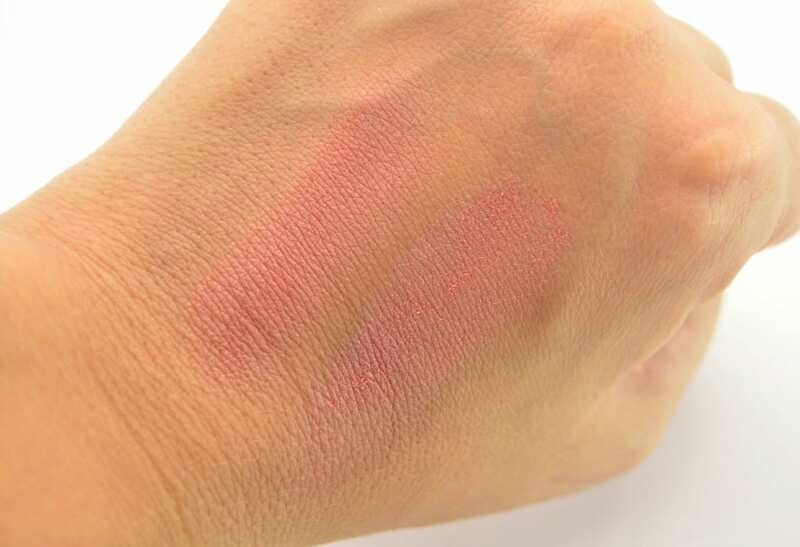 It blends, need I say, almost melts into the skin without looking cakey, blotchy or powdery. Although fairly pigmented, it allows you to be as natural as you look, or build up the intensity for a more dramatic effect. It doesn’t seem to set into fine lines or pores, nor does it accentuate any imperfections on the skin. It stays in place throughout most of the day without losing its intensity or fading. 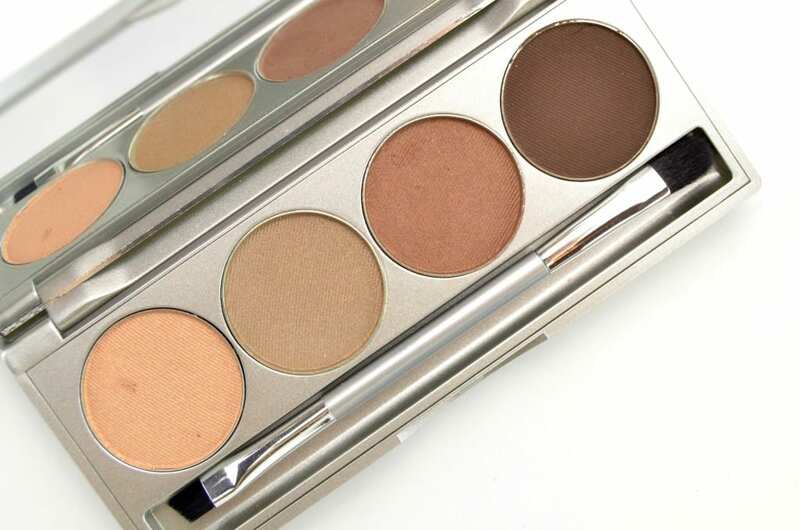 It comes in 5 wearable shades that flatter all skin tones and retails for $49. Colorescience Lip Polish is designed with your delicate lips in mind. It’s formulated with skin savvy ingredients, including Palmitoyl Oligopeptide that helps to stimulate, hydrate and improve the overall appearance of lips, along with essential peppermint oil to help give it a fresh, minty scent. 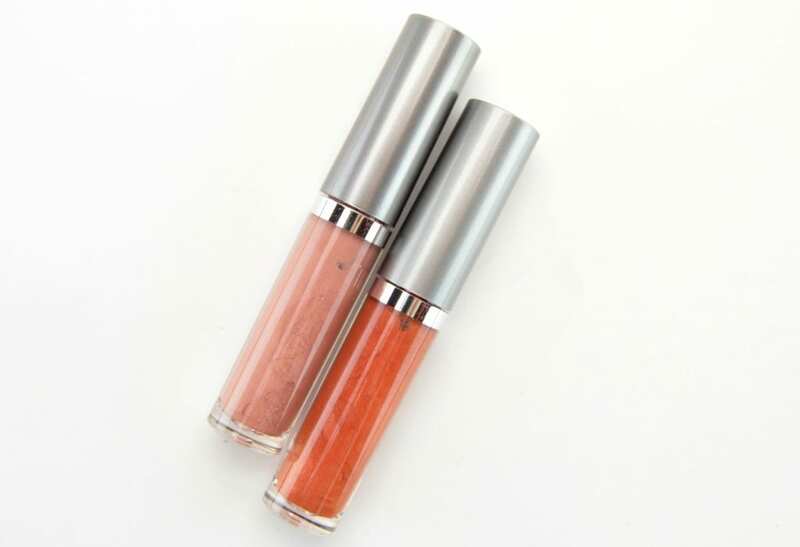 Colorescience Lip Polish comes in your standard lip gloss tube with doe-foot applicator for easy application. It has a completely weightless, incredibly rich and creamy formula that actually feels quite nourishing on the lips. 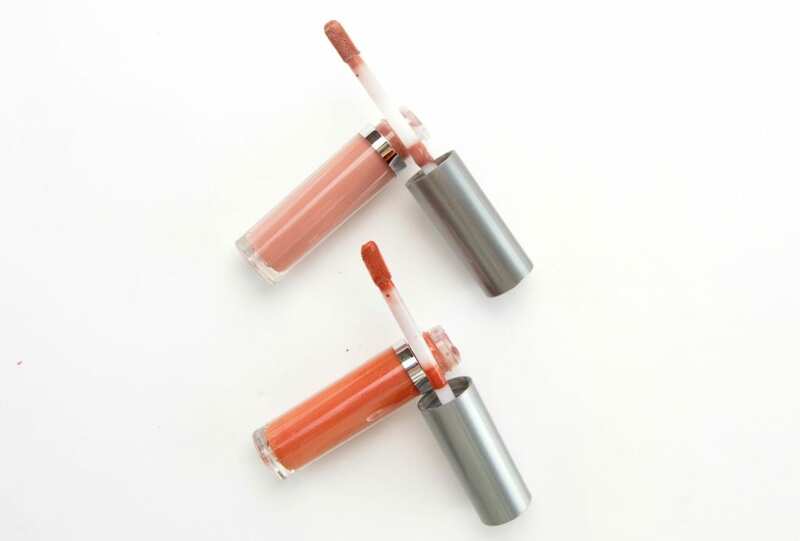 It’s almost hybrid formula applies and feels like a lip gloss, but its conditioning formula moisturizes the lips like a balm. 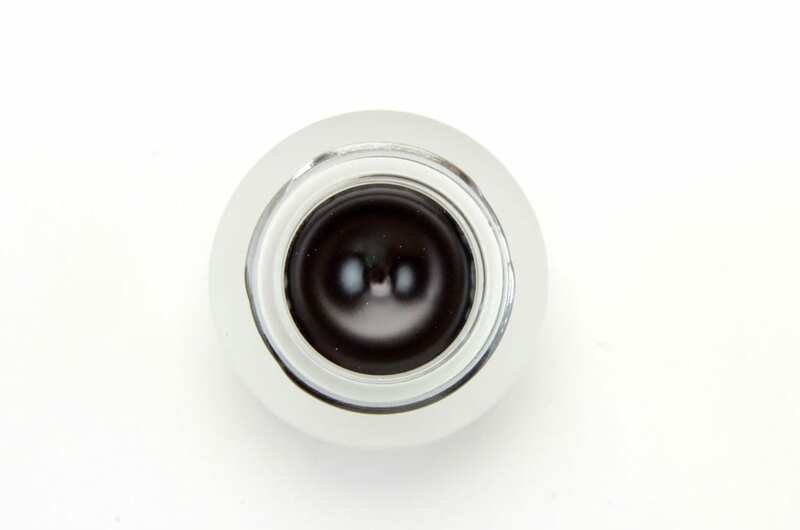 It’s highly pigmented in a single swipe and provides a decent amount of shine that doesn’t feel thick, goopy or sticky. It’s comfortable on the lips the entire day thanks to its velvety smooth texture. You can achieve bold intense colour that lasts the entire day without smearing, creasing or feathering. It comes in 6 lustrous shades and retails for $34.